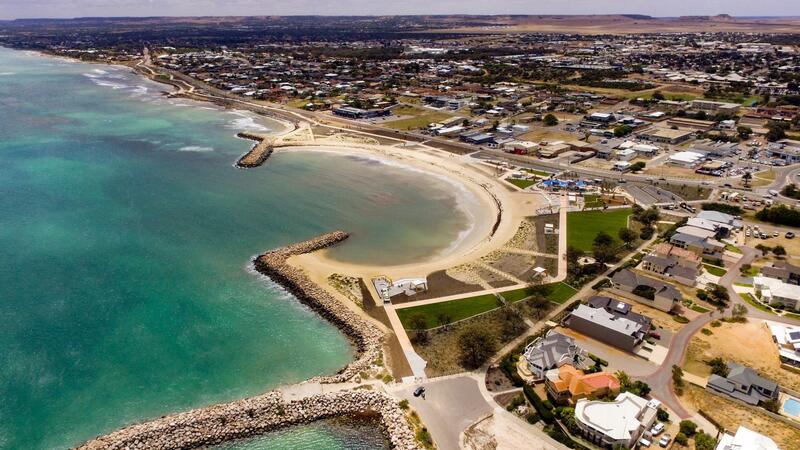 Climate change, rising sea levels and the effects of coastal erosion and inundation are impacting the City of Greater Geradlton. The City has been continually adapting to climate change, rising sea level and coastal erosion for some time. Some of these projects are small scale and provide short to medium term solutions whilst others are large and provide a long-term solution. There are currently no projects under construction. The shoreline fronting Whitehill Road is under erosive pressure and requires mitigation to reduce further coastal erosion. Photo: Draft boat launch design developed by the Drummond Cove Progress Association Boat Ramp Sub-Committee. 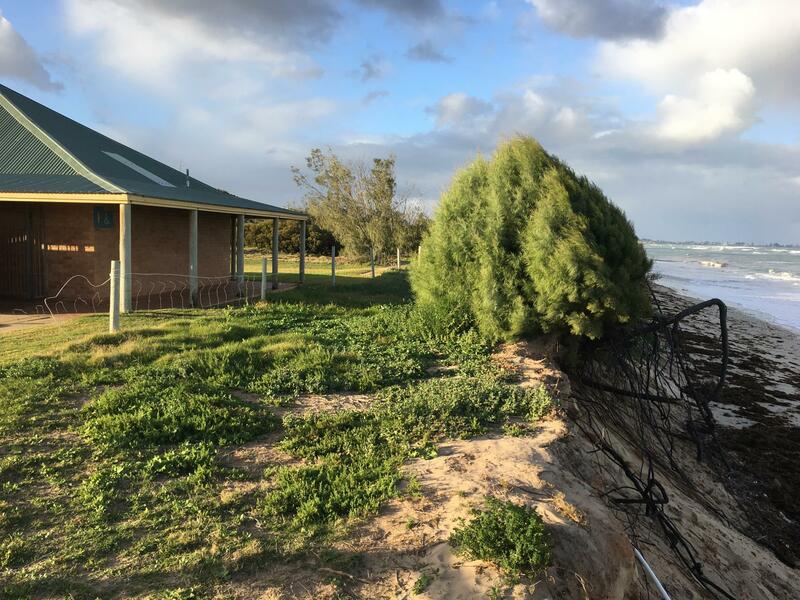 The Sunset Beach Foreshore has been experiencing coastal erosion which has lead to the removal of City assets to prevent them from falling into the ocean. The City engaged M P Rogers & Associates to investigate and provide advice on potential coastal adaptation options for Sunset Beach. Photo: The Triton Place Toilet block was removed after coastal erosion came within meters of the building. 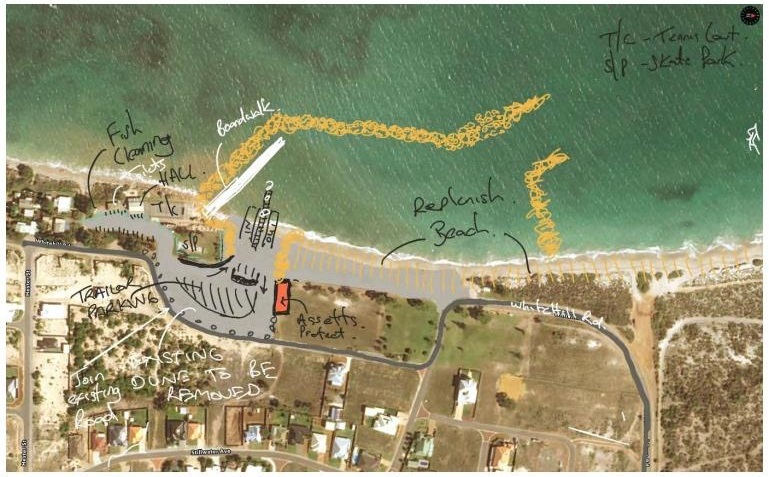 In July 2018, Council made the decision to construct two low-crest 40m long Geotextile Sand Container (GSC) groynes on the Drummond Cove Foreshore to mitigate coastal erosion at Whitehill Road. 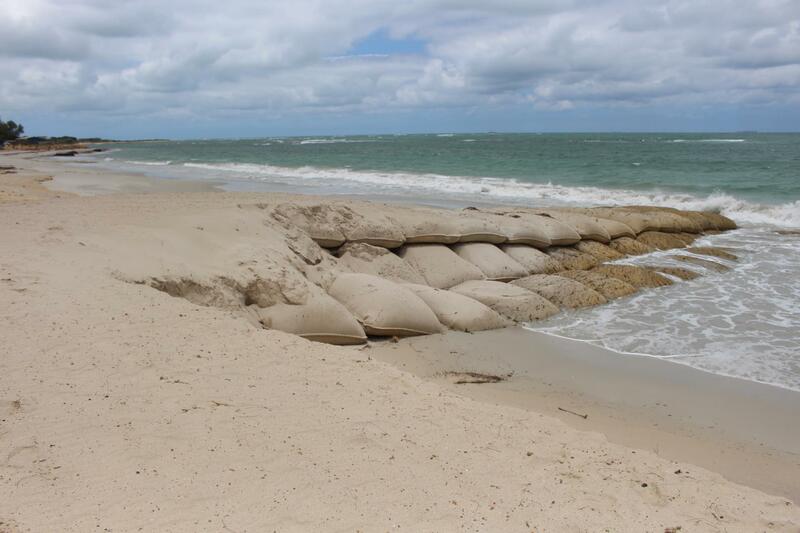 Photo: One of two Geotextile Sand Container groynes located at Whitehill Road. Photo: Midalia's Beach featuring groyne extensions and completed enhancement works. 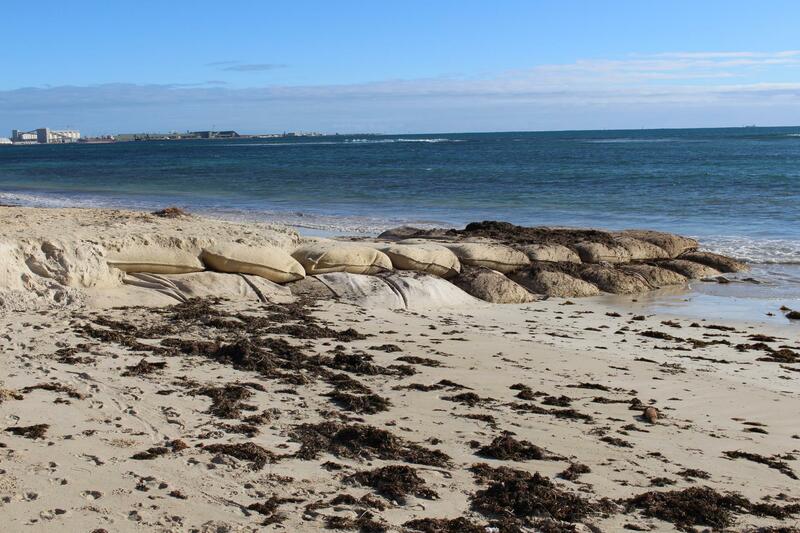 Photo: Geotextile Sand Container groyne at St Georges Beach.